Sonic & All-Stars Racing Transformed is the sequel to 2010’s crossover party racer Sonic & SEGA All-Stars Racing. Not simply a basic sequel, the game focuses around the concept of vehicles that change during the race to traverse over land, water and the sky with a few courses that even head through lava or outer space. Presented as kid-friendly but designed to be enjoyable for all ages, Transformed is a quality racer for fans of SEGA and the genre. Difficult but not unfair, the game succeeds in making a unique and fun game for groups online or off, but somewhat sloppy direction and awkward marketing attempts keep it from becoming a true classic. Sonic & All-Stars Racing Transformed has finally been made available for Sony’s PlayStation Vita handheld after initial delays in production caused it’s release to be pushed back. Developed by Sumo Digital across all platforms, this version of the game retains all of the features of its console counterparts, save for the number of racers per race, which has been downsized to eight from the console version’s ten. A version for Nintendo’s 3DS is also slated for release on February 8th in Europe and February 12th in the United, while versions for Microsoft Windows and iOS are also planned, but have yet to been given release dates. Also of note is that if any is version of Sonic & All-Stars Racing Transformed is purchased through all GameStop retailers (including pre-orders for the 3DS version) will come bundled with an exclusive Hot Wheels toy car modeled after Danica Patrick’s ‘Danicar’ vehicle from the game. After the break, we’ve included the launch trailer released for the game back in November. Jet Set Radio is the unique 2000 platforming game where players take control of a rebellious group of spray-painting, rollerblading teenagers who intend on seperating the government’s corrupt and overblown power over the people of a fictional variation of a futuristic Tokyo, Japan called Tokyo-to. 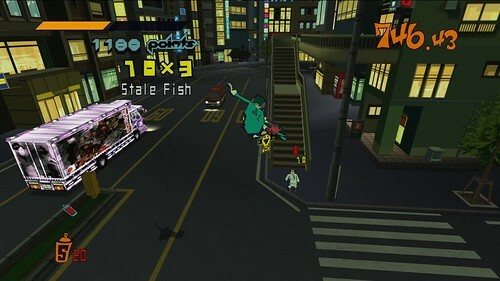 Originally available on the SEGA Dreamcast, Jet Set Radio has gone on to only have one true sequel, but a strong cult following and has been featured in references and cameos in several unrelated games. This modern high definition version is one of SEGA’s highest quality re-releases of all their past titles to date. Sumo Digital’s latest arcade racing title, Sonic & All-Stars Racing Transformed, is now available on Xbox 360 and PlayStation 3, and Wii U in North America and Europe. 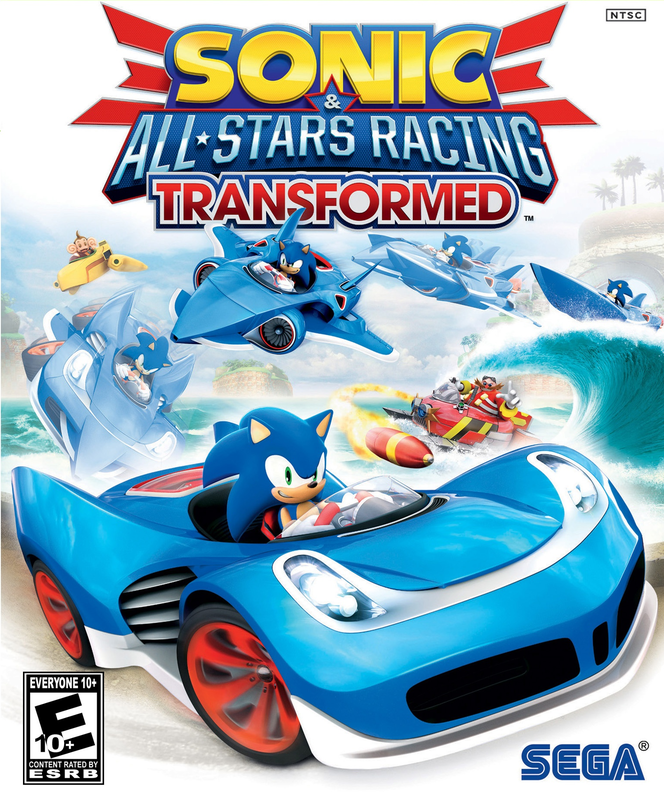 The sequel to 2010’s Sonic & SEGA All-Stars Racing, Transformed brings a myriad of new changes and additions to the series, with the most notable feature being the dynamic transformations of the game’s vehicles, which allows them seamlessly race on land, sea, and air. Transformed also assembles an all-star cast of characters from across SEGA’s long history, with several newcomers entering the fray, including Joe Musashi from Shinobi and Vyse from Skies of Arcadia. In addition, two guest characters from non-SEGA properties make an appearance on the game’s playable roster, those being auto racer Danica Patrick of NASCAR fame and the character Ralph from the 2012 Walt Disney film Wreck-It Ralph, which features several cameos of SEGA characters including Sonic the Hedgehog and the zombies from The House of the Dead. Those who pre-ordered the game will receive a special ‘Bonus Edition’ of the title, which includes an extra course modeled after SEGA’s hit arcade driving game OutRun, as well as Metal Sonic from Sonic CD as a playable character. In addition to its release on Xbox 360 and PlayStation 3, Transformed will also be released for the Nintendo 3DS and PlayStation Vita on December 7th in Europe and on December 11th in North America. Versions for Microsoft Windows and iOS are also planned, but currently do not have release dates. Be sure to check out the game’s launch trailer after the break. The high definition upgraded version of Jet Set Radio will finally be available for PlayStation Vita users this week for download on the PlayStation Network. It was previously released this fall on Xbox 360, PlayStation 3 and Steam for Windows PC. Originally launched in 2000 on the SEGA Dreamcast, Jet Set Radio was praised for it’s unique take on the platforming genre, along with it’s graphical style and soundtrack, most of which is included in this version. Modern alterations, such as new camera controls and achievements/trophies have been added, the Vita release includes even more functions, such as optional touch-based spraying. In addition, Android and iOS versions of the game will be released at the end of month. Jet Set Radio is available on all platforms for $10 USD, the title is set to be the first free game on PlayStation Vita for PlayStation Plus subscribers. A demo for the upcoming Sonic & All-Stars Racing Transformed is available for download on the Xbox Live Marketplace for free in all regions the service exists. PlayStation 3 will also receive this, but once the network is updated, which is independent by region. It is currently unknown if any other platforms will also receive a demo version of the game, as SEGA has not announced any as of yet. 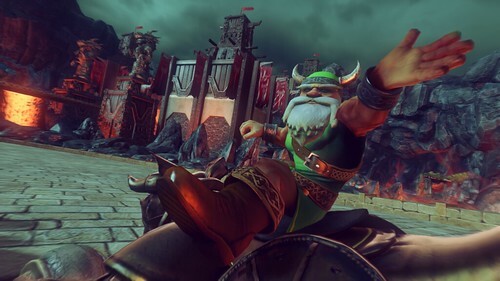 The demo features only Sonic as a playable racer, but has tracks based on the classic Panzer Dragoon and Golden Axe titles, the later of which is not a race, but a ‘boost challenge’. Both levels use the unique transforming mechanic where the player’s car turns into a boat or a plane when necessary. A sequel to Sonic & SEGA All-Stars Racing, Sonic & All-Stars Racing Transformed is available to purchase on Xbox 360 and PlayStation 3 this week for most Europeans, but will be available for North Americans next week. The Nintendo Wii U version will launch with the console the week after and the Nintendo 3DS and PlayStation Vita versions will be available in December. The PC version has no release date at the posting of this article, but is expected in 2012. Super Monkey Ball: Banana Splitz is available now on PlayStation Vita. A continuation of the frantic titling puzzle action and party game collection franchise, players take control of AiAi and friends as they try to escape from several toy-themed worlds. Potential players have the option to purchase the game as a retail or downloadable release in North America, Europe and Australian regions, while other territories are expected to have it made available before the end of the month. A demo of the Banana Splitz is also available on the PlayStation Network, for those uncertain if they should buy the full experience. 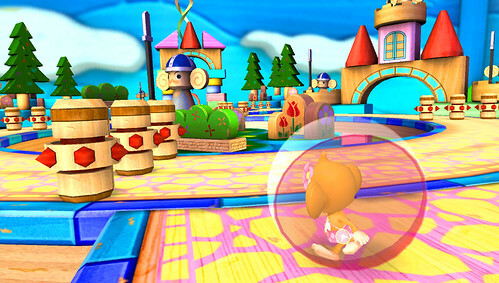 The latest title in the Super Monkey Ball series of games, several levels and features from past games have returned, but with a new setting and art style. Fans will also be glad to hear that PlayStation Vita specific control options such as analog, touch screen, touch pad and tilting are included, but all optional. Compared to last year, SEGA’s showing at Tokyo Game Show (TGS for short) was hugely gimped by lack of multiplatform titles, something the publisher is greatly known for. A general shift in focus towards touch-based platforms is apparent with not just SEGA, but the entirety of the event across all publishers. That said, SEGA has still revealed and demonstrated several titles, although as always it is unclear how many of these will receive English language releases. 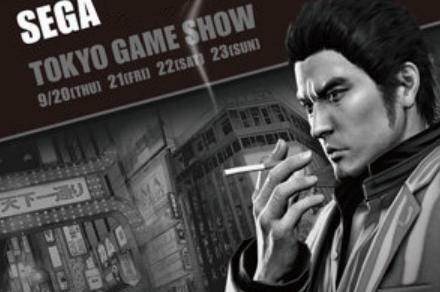 After the break we have compiled a list of every title involving SEGA at the event. SEGA’s unique platformer Jet Set Radio will become available for purchase online through the PlayStation 3’s PlayStation Store and Xbox 360’s Xbox Live Arcade this week, as well as on Steam for Windows. A version for the PlayStation Vita handheld is also upcoming, but not until later this year. Although all versions of the title are the same purchase price of 10 USD (800 Microsoft points on Xbox 360), it should be noted that the content is slightly different on each platform. Most notably the PlayStation 3 version has the least amount of unlockable trophies/achievements of all releases and the upcoming PlayStation Vita game has optional touch-based spray can controls. Known as Jet Grind Radio in North America at the time, Jet Set Radio was originally released on the Dreamcast in 2000 and was praised for its unique style, based on both its soundtrack (which will mostly be retained, but not fully) and it’s unique ‘cel-shaded’ graphics that launched a new visual style within video games. A specialized ‘Bonus Edition’ of the upcoming Sonic & All-Stars Racing Transformed has be announced through SEGA’s official blog. Available to all who pre-order the racing game, potential players will receive access to an extra course themed around SEGA’s classic arcade franchise OutRun and Metal Sonic, Dr Robotnik’s evil doppelganger version of Sonic as a playable character – Both of which will be available in all gameplay modes. It is unknown at this time if the content will be packaged within the game itself or be a downloadable extra. Although the title will be available on Xbox 360, PlayStation 3, PlayStation Vita, Nintendo 3DS, the upcoming Wii U console, PC and mobile devices, there has been no word concerning if the later two will be receiving these additions. Developed by SUMO Digital, Sonic & All-Stars Racing Transformed will be released in North America on November 20th. 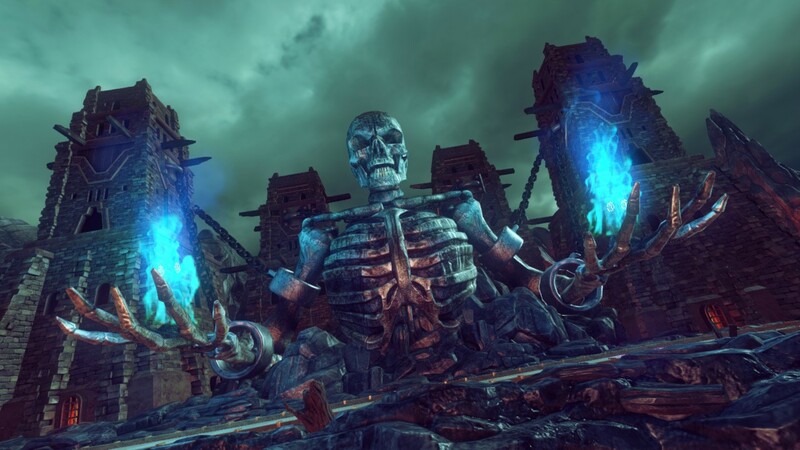 A more extensive special release of the game will be revealed at a later date, but that has been confirmed to only be arriving in European regions. Update: The European ‘Limited Edition’ has been confirmed to be identical to North America’s ‘Bonus Edition’.